Faire Harbour is located in the Marblehead area of San Clemente, California. 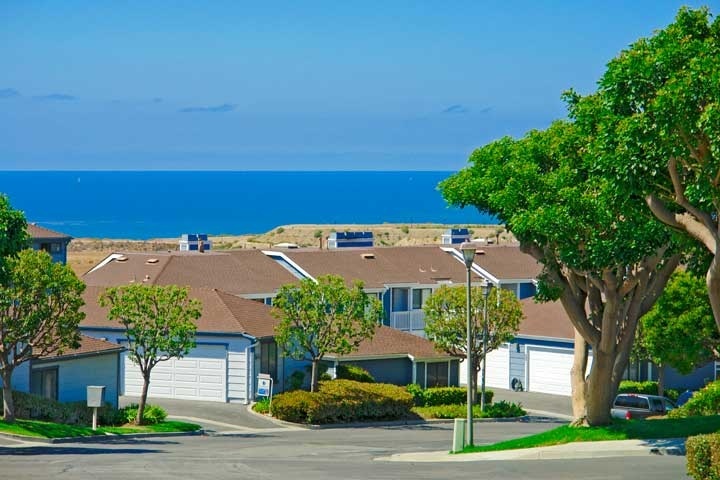 These condos are located in the Marblehead community in San Clemente just east of the 5 freeway. Faire Harbour condos have just recently gone under a complete renovation with new exterior paint and updated wood work. The nice thing about Faire Harbour condos is the large square footage plus a detached 2 car garage. A lot of these condos also have great ocean views! The community grounds feature a community pool and playground and there is quick access to the freeway. Below are the current homes for sale in Faire Harbour. San Clemente Real Estate gained a lot of attention due to it's great beaches and more affordable housing than neighboring beach towns here in Orange County. If you are just moving here and looking for a short term Faire Harbour rental then visit out San Clemente Rentals page. We showcase all the current homes for rent in San Clemente.